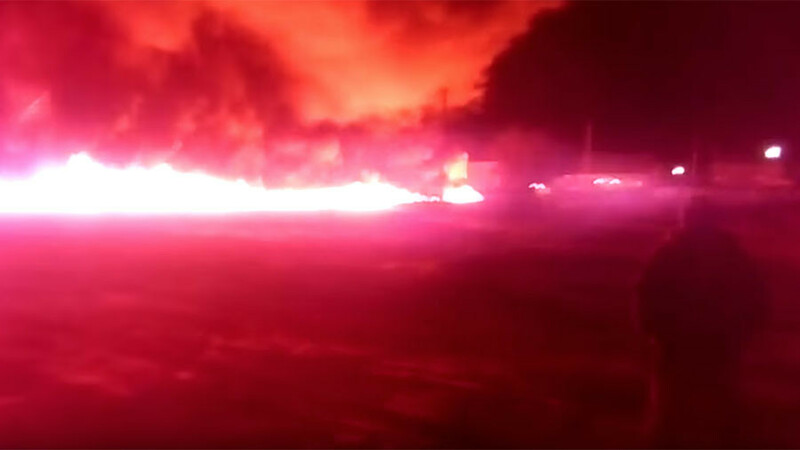 A monstrous blaze resembling a wall of fire has engulfed a village in Russia’s southern Saratov region after an oil transit pipeline sprung a leak. The flames raged for hours, devastating several houses. Some 2,000 cubic meters of oil spilled over to the adjacent territory and flooded several streets of the neighboring Krasnoarmeiskoe village in Russia’s Volga region. The oil then caught fire. A video posted on YouTube shows a wall of fire racing towards the village. 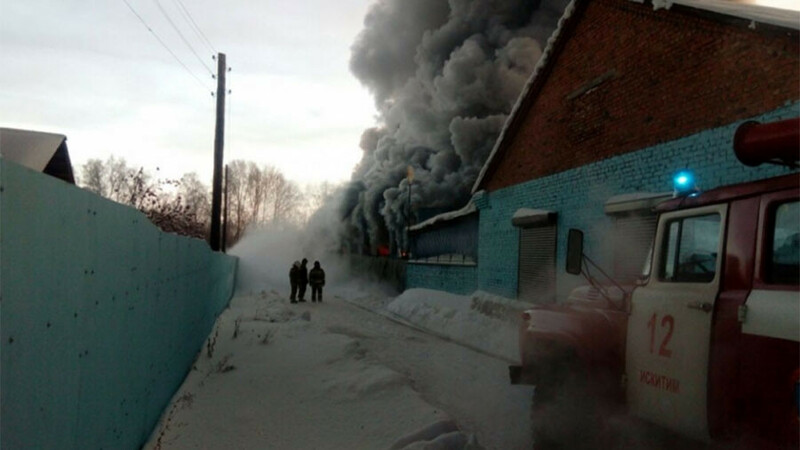 The flames engulfed three residential houses and a non-residential building, prompting the evacuation of 12 people, TASS reports, citing the local branch of the Russian Emergencies Ministry. 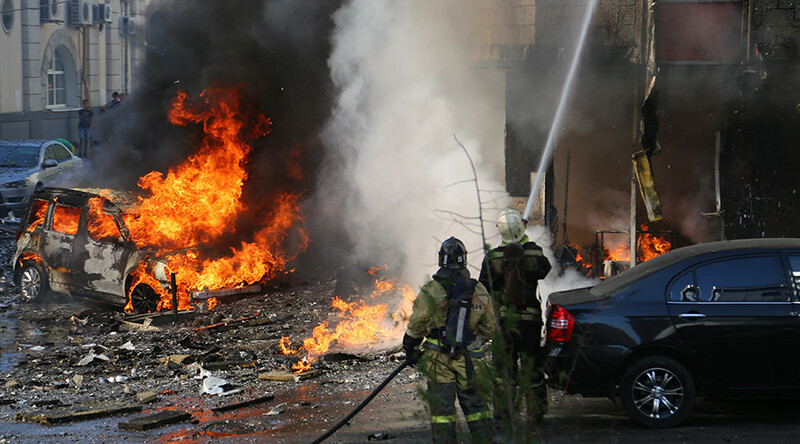 Several fire brigades and 60 firefighters were deployed to tackle the huge blaze. The crew managed to extinguish the fire hours later. 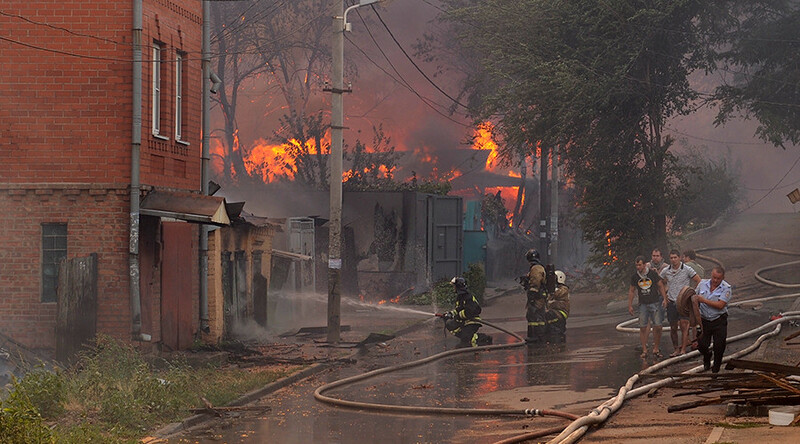 Some 7,500 square meters were affected by the blaze, according to the regional Public Prosecutor’s office. 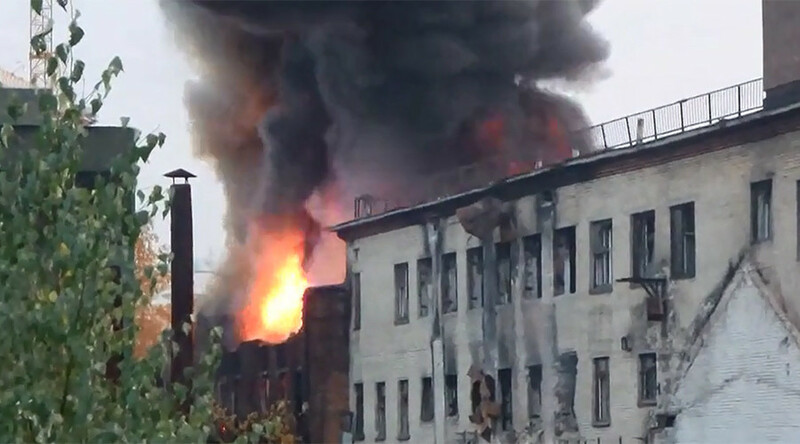 Earlier, the Emergencies Ministry said the fire zone was 1,000 square meters. 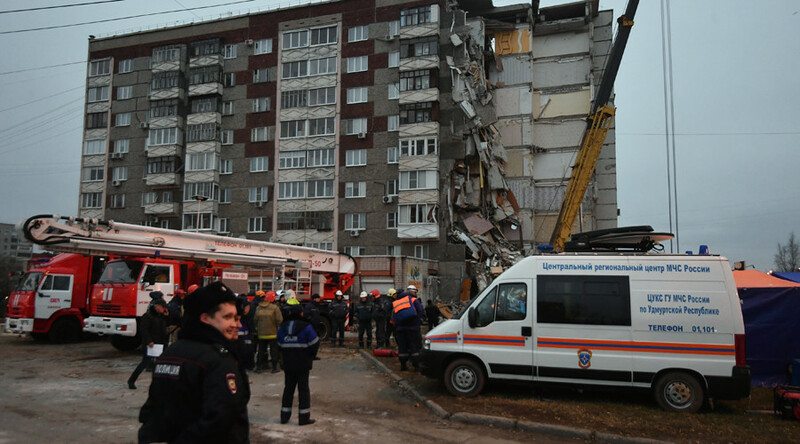 No casualties were reported, according to Russian media, citing “preliminary reports” of the emergency services. The incident was not a result of some “outside interference,” prosecutors said. Later, local authorities told TASS the leak was a result of technical problems that led to pressure loss in the pipeline which is owned by the Transneft company.